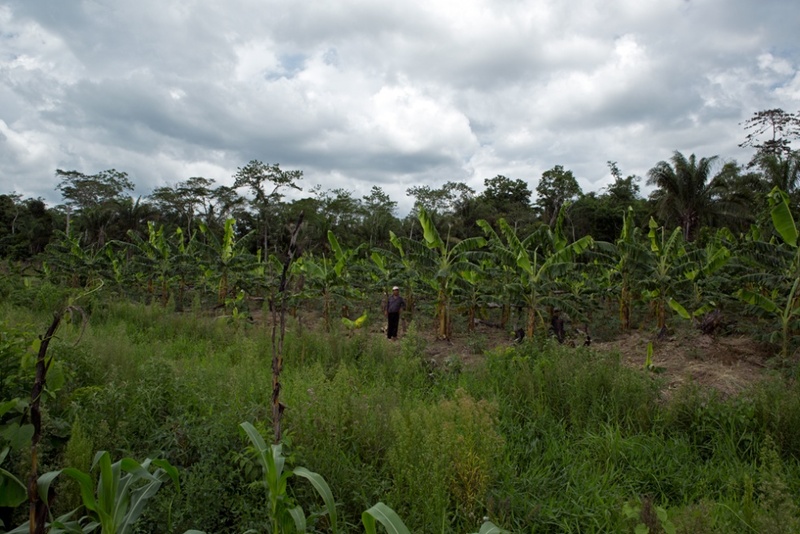 Raised fields and beds ‘Camellones’, are cultivated with plantain at Pedro Ignacio Muiba in Trinidad. 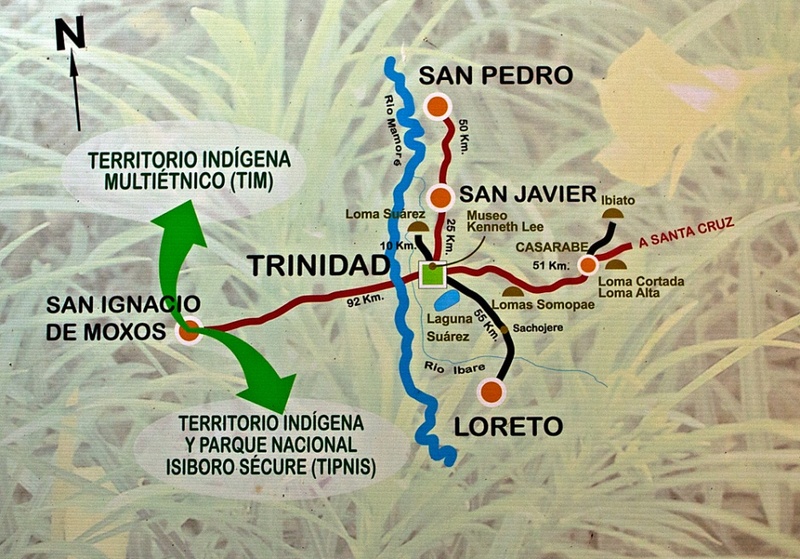 A Map of the Beni Area. 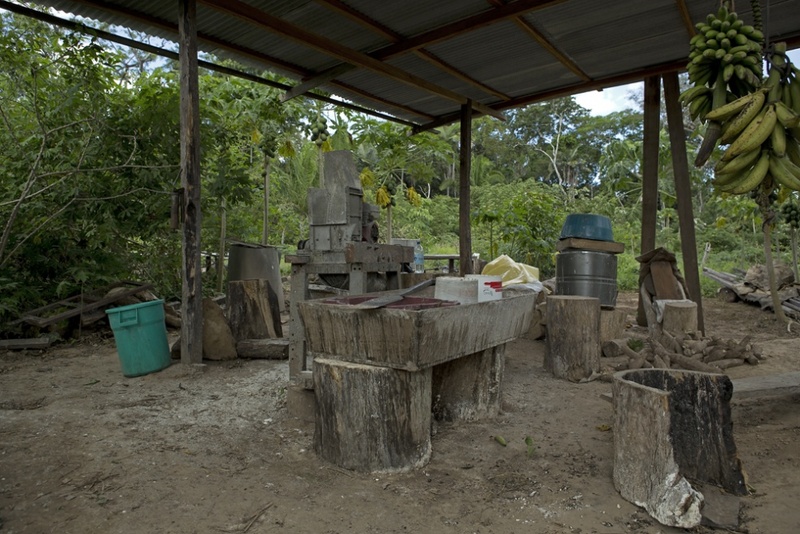 Ancient ‘Camellones’ are being re-utilized and cultivated by farmers all over the San Ignacio Region. 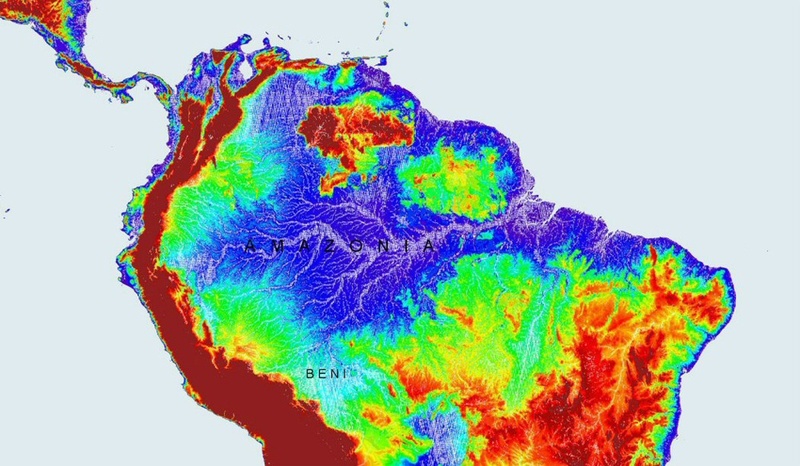 A Map of the Amazon Basin. 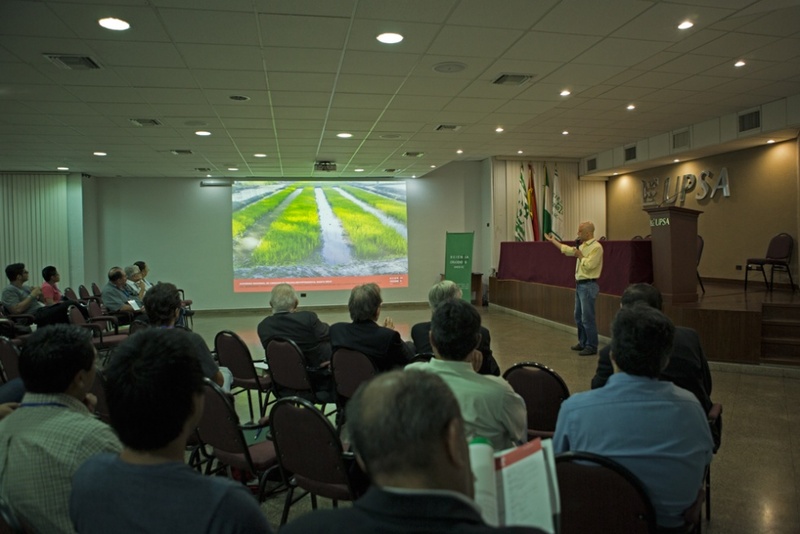 Anthropologist Andrea Markos presents his work at a conference held at the UPSA University in Santa Cruz. 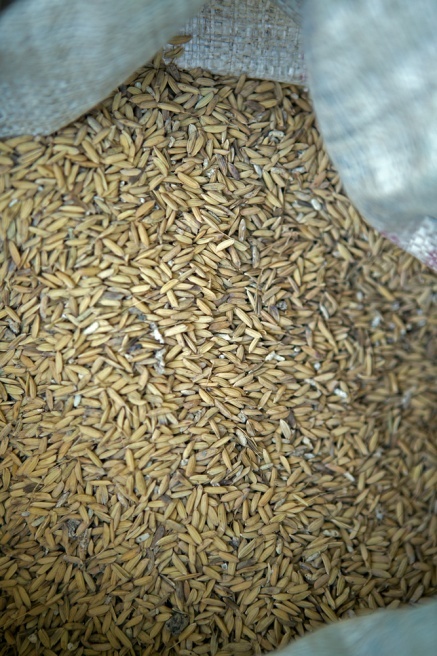 Rice is produced by cultivating raised fields and mounds ‘Camellones and Lomas’ in Copacabana peasant community, Trinidad. 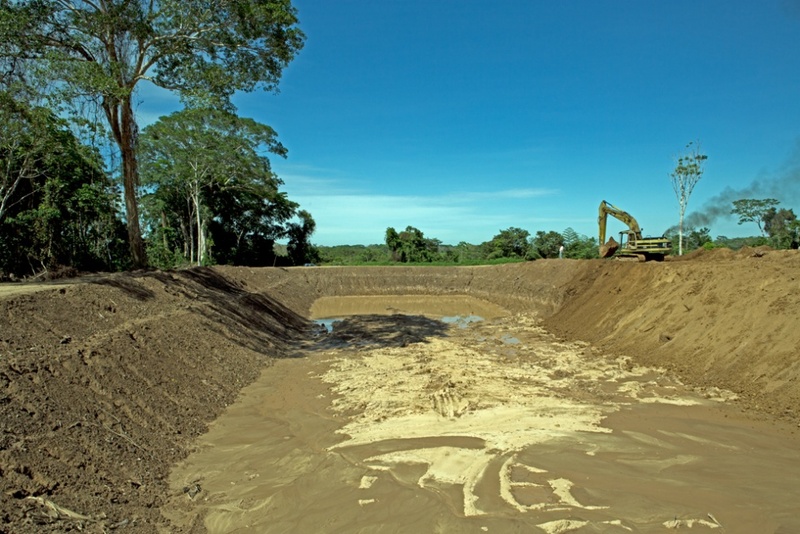 A large fish-farming pond, sponsored by the Municipality of Trinidad is being constructed in Mangalito, Trinidad. 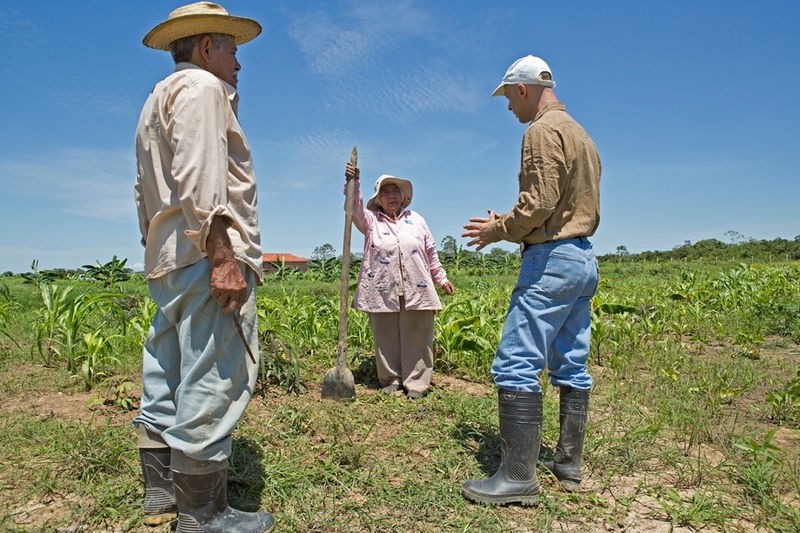 This farmer and her family have been put in charge of an Oxfam project of several ‘Camellones’ and a fishpond in Trinidad. 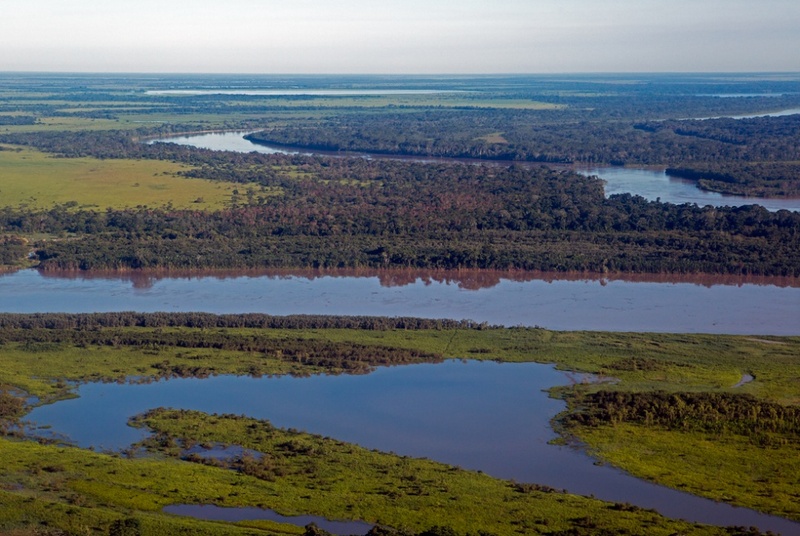 The water collecting in the Bolivian Amazon Basin of the Beni Department flows to a tributary of the Amazon River. 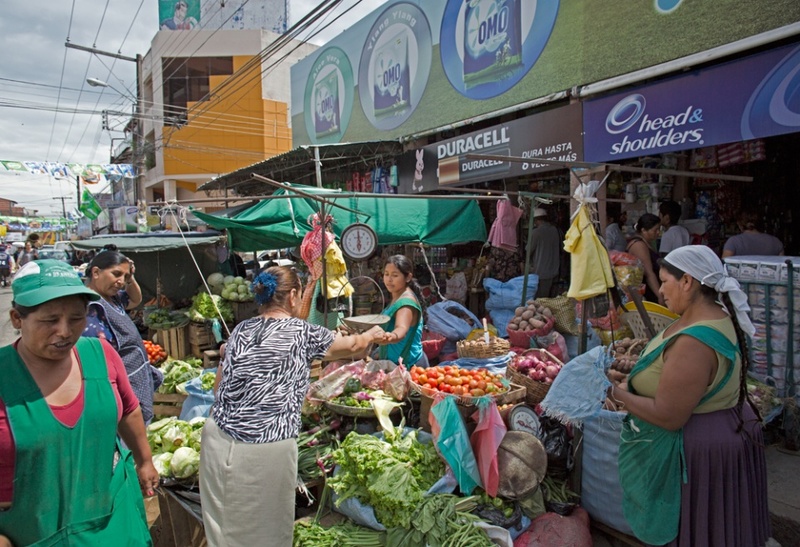 A market in Santa Cruz. 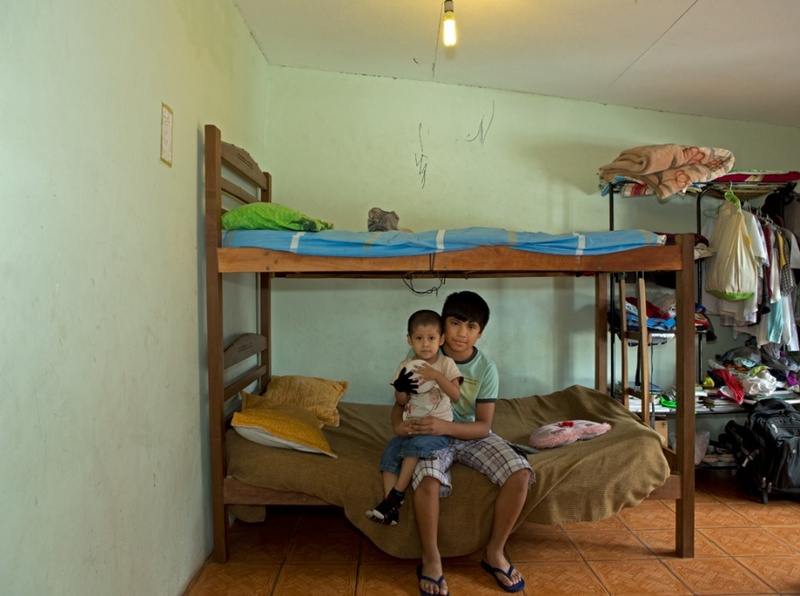 Many families leave the Beni Area in search of better opportunities in Santa Cruz. 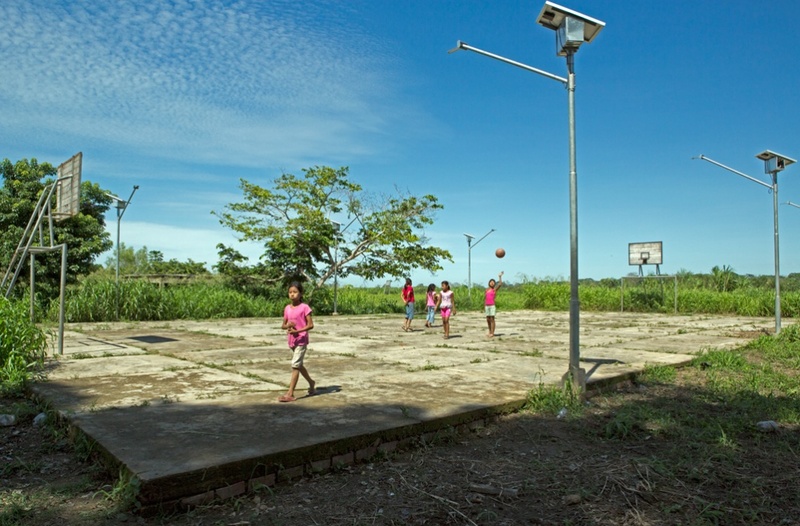 Solar powered houses and a basketball field were built near the ongoing project in Mangalito. 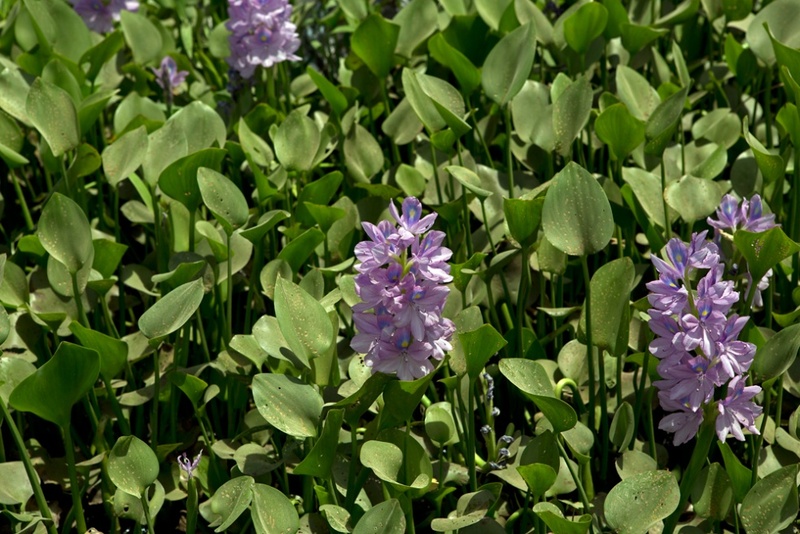 The eichornia flower is a water-weed that grows almost anywhere in the area. 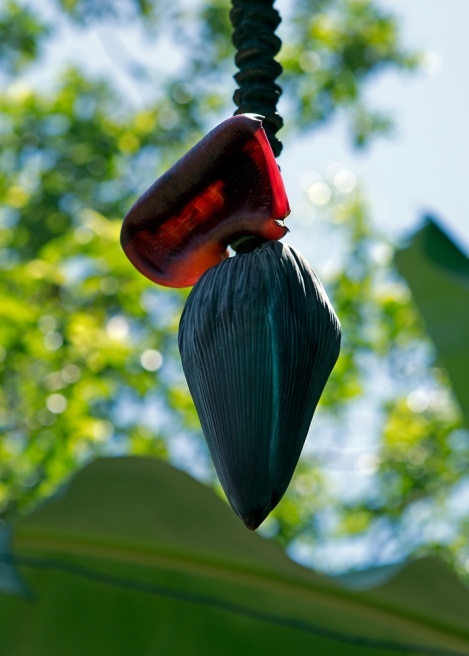 It is used as fertilizer. 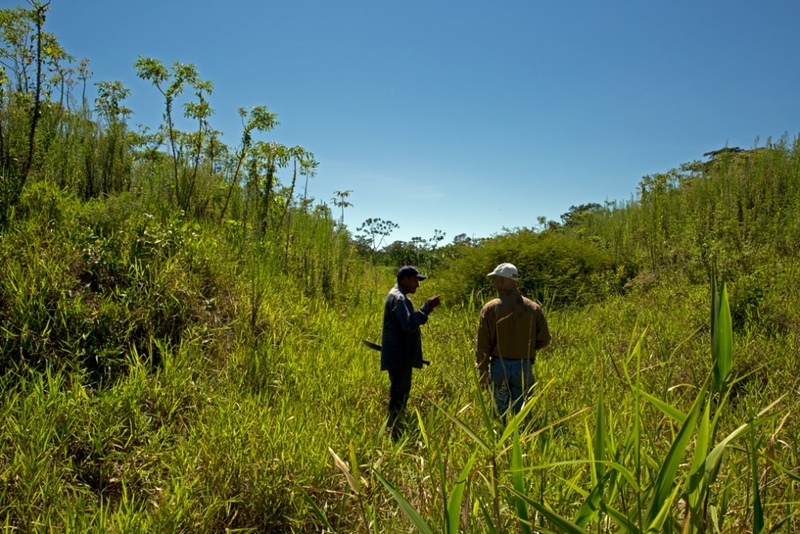 Don Pedro is in charge of the project in Santa Rita. 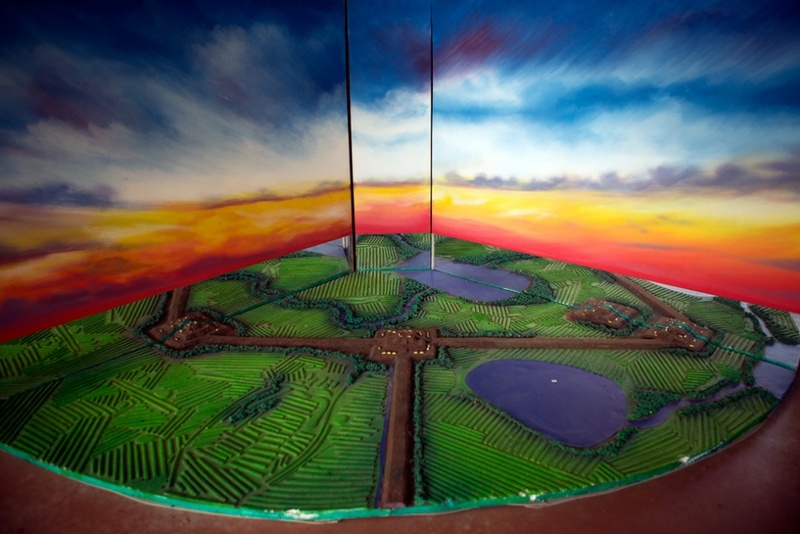 A miniature model shows the original appearance of the landscape of the The Hydraulic Civilizations of Mojos at the Kenneth Lee Museum in Trinidad. 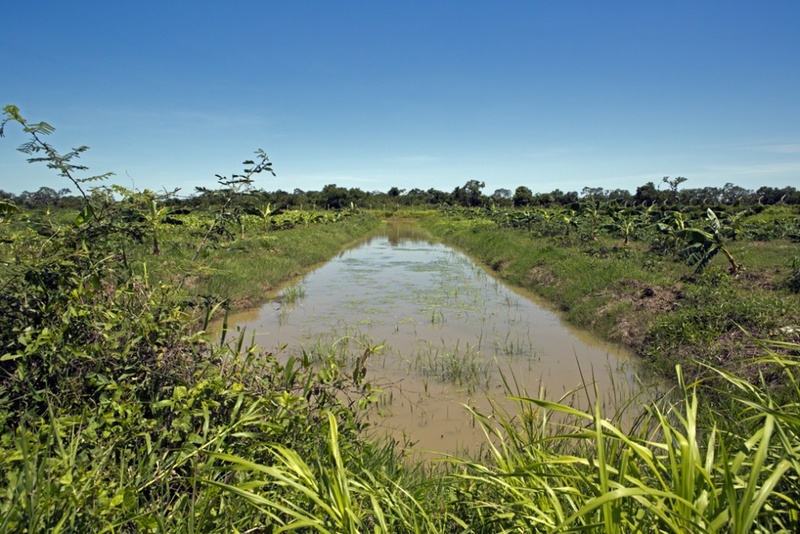 A large pump transports water around the raised fields ‘Camellones’ during the dry season. 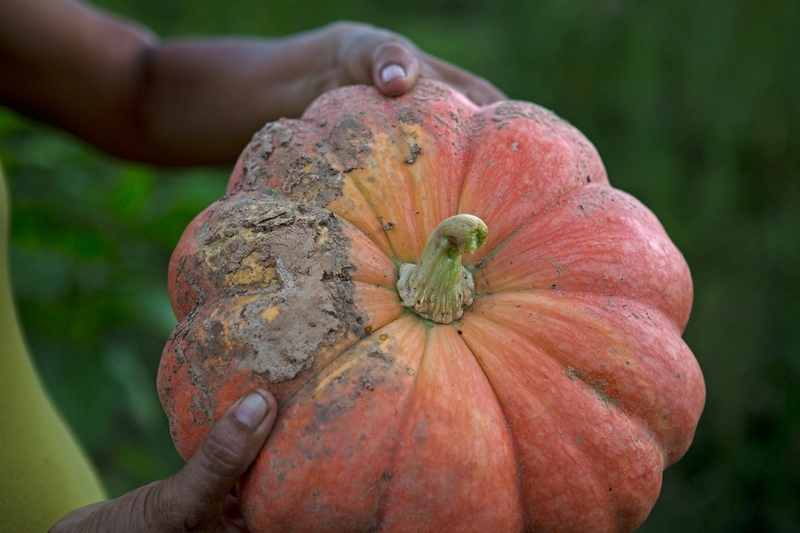 A large variety of fruit and vegetables can be grown all year round by employing this method of farming. 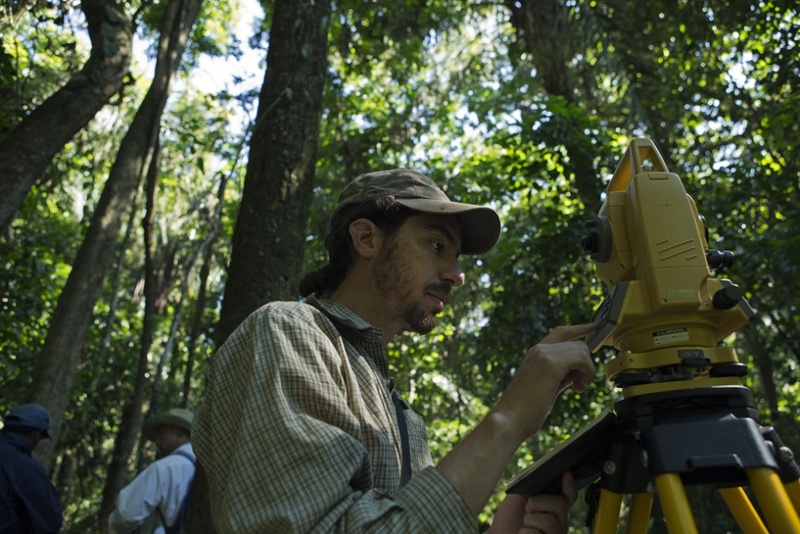 Archeologist Eduardo Machicado and his team map the area of Estancia La Estrella near San Ignacio where there are numerous ancient ‘Camellones’. 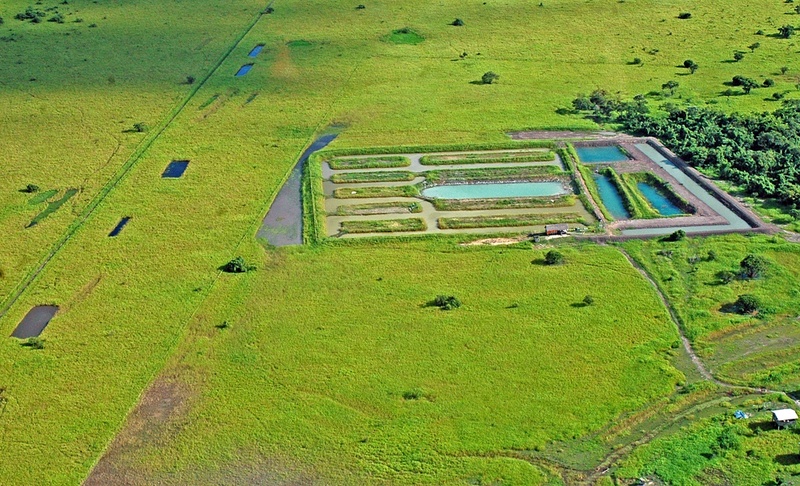 An aerial view of the ‘Camellones'at the Loma Suarez project. 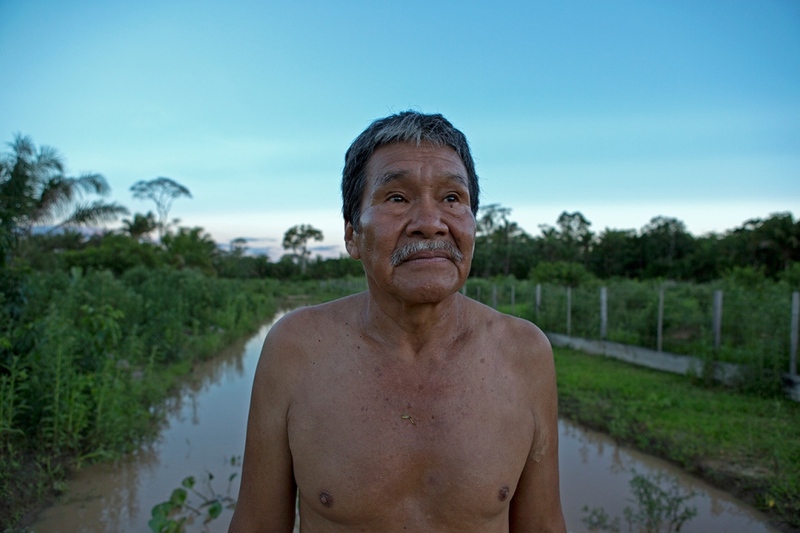 A husband and wife are in charge of the Pedro Ignacio Muiba project in Trinidad. 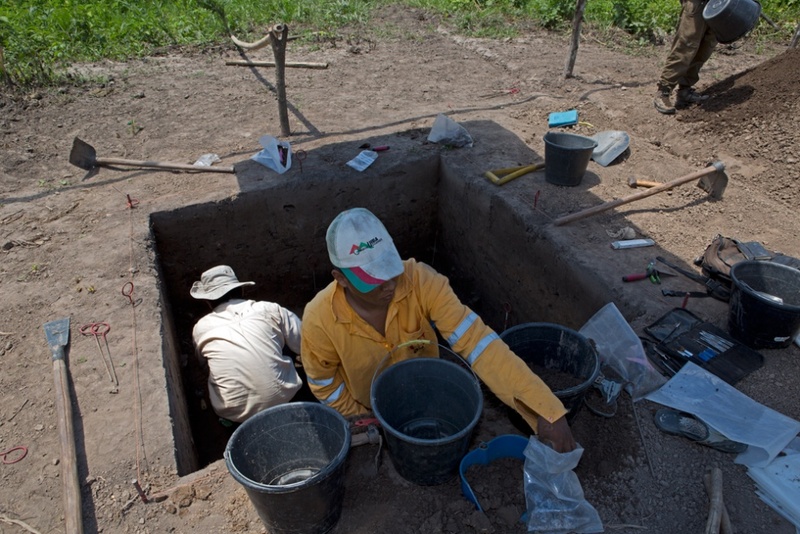 21-Archeologist Eduardo Machicado and his team collect and analyze relics and artifacts to unravel the mystery of The Hydraulic Civilizations of Mojos. 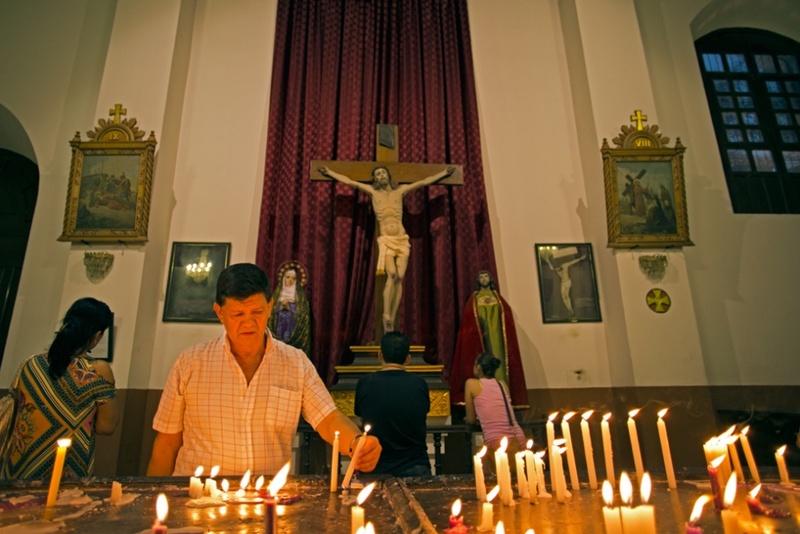 Oxfam and other international organizations have sponsored several projects in the region in recent years. 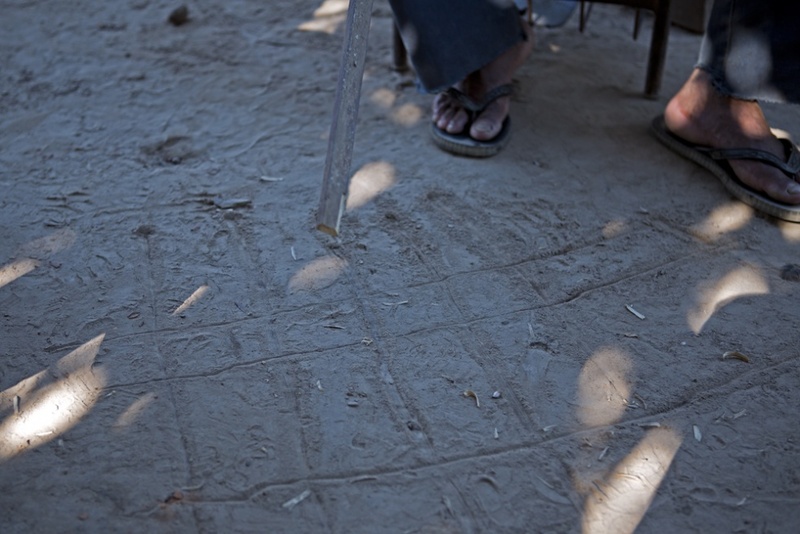 An indigenous man indicates the ‘camellones’ he has discovered on his land. 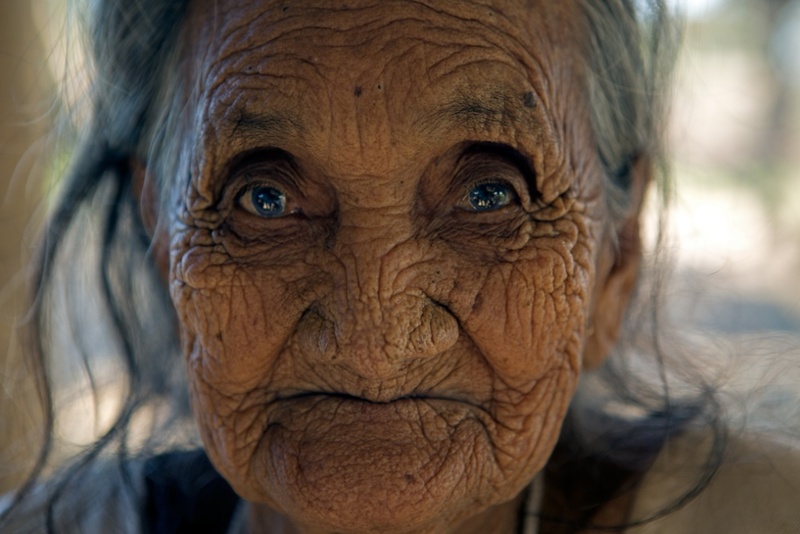 Ancient ‘camellones’ are still visiblein the the deep rain forest. 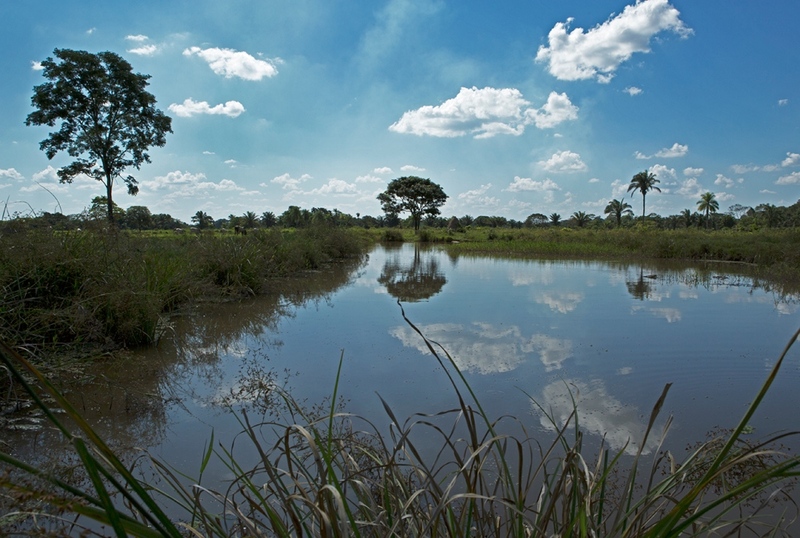 Water is a predominant feature of the Beni area. 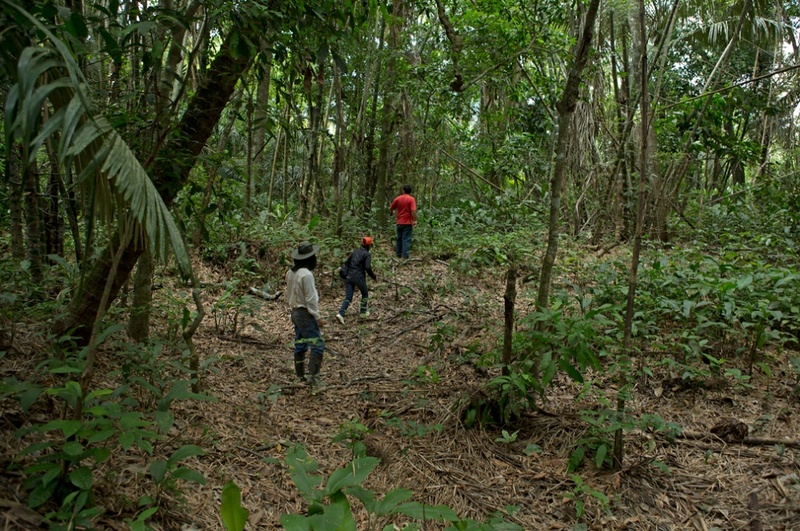 Slash and burn agriculture is still predominant in the Beni area, causing the destruction of large parts of the forest. 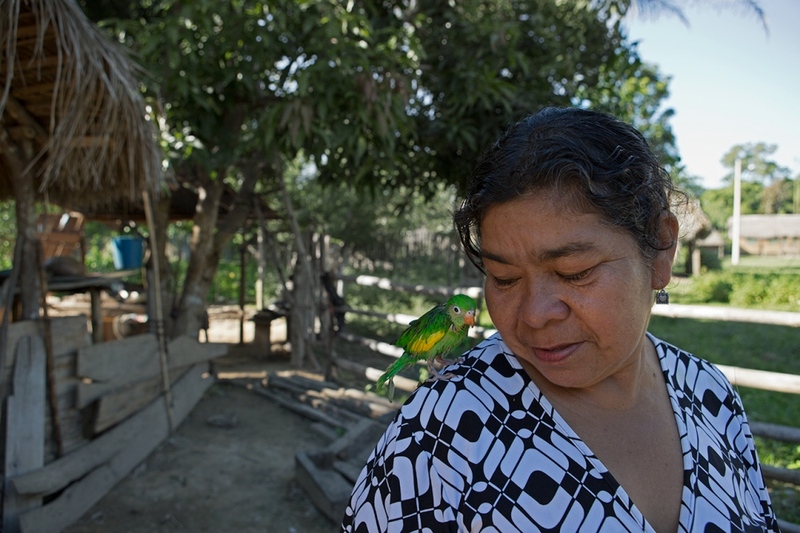 Woman and her pet parrot. Raised fields can be several meters high. 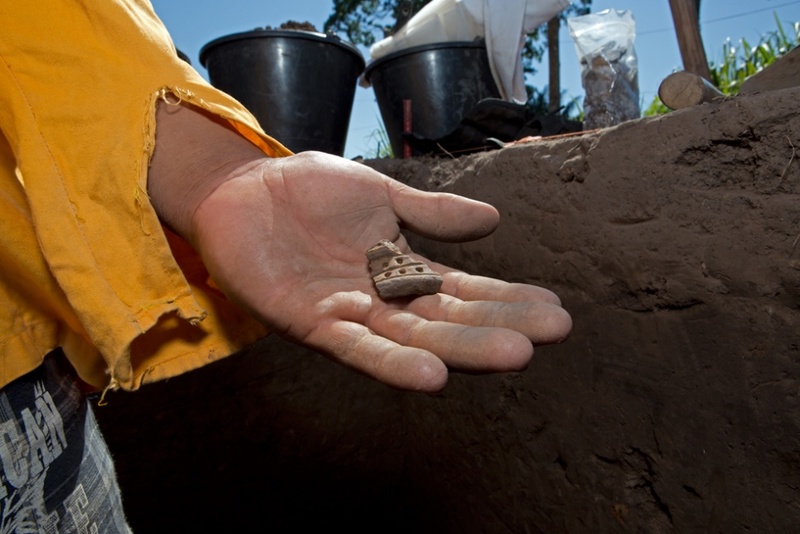 Relics and artifacts are found while digging the habitational mound not far from the old ‘Camellones’. 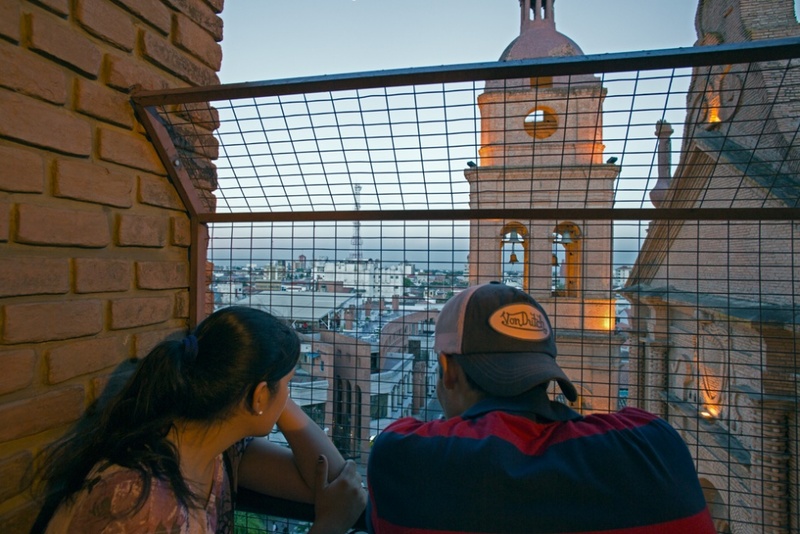 Teenagers looking at the city of Santa Cruz. 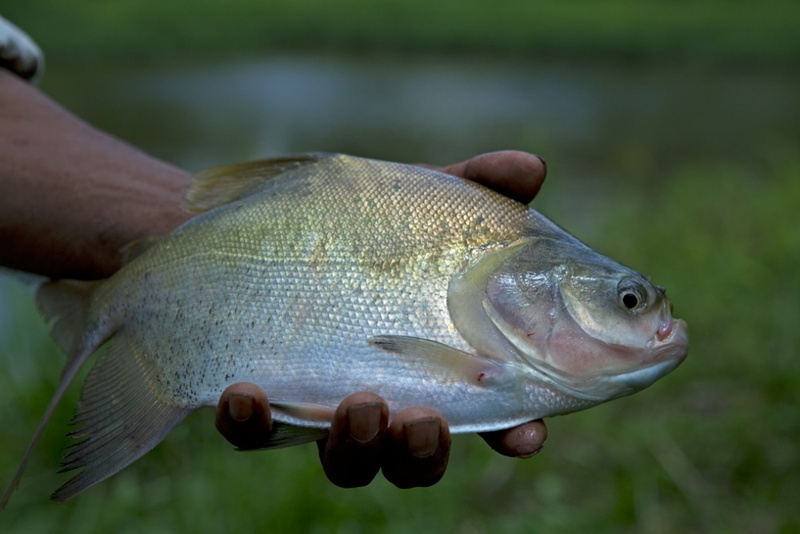 A freshly caught fish from a man-made pond deep inside the forest. 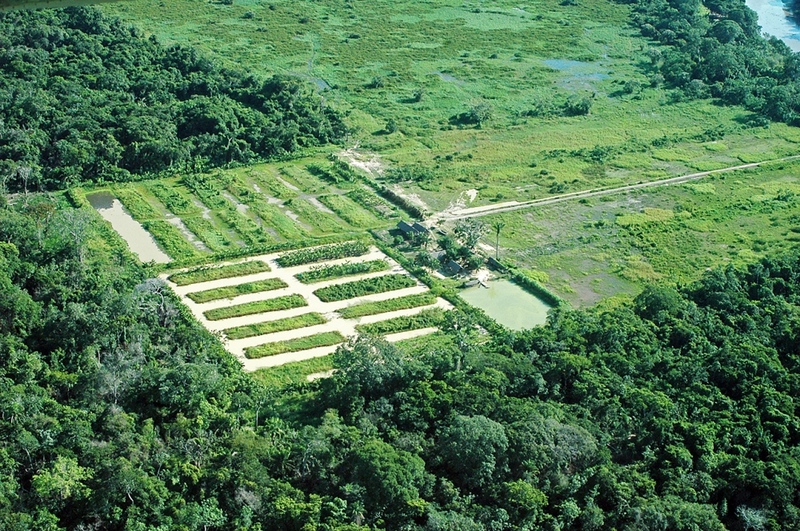 Aerial view of the Oxfam-funded project in Trinidad. 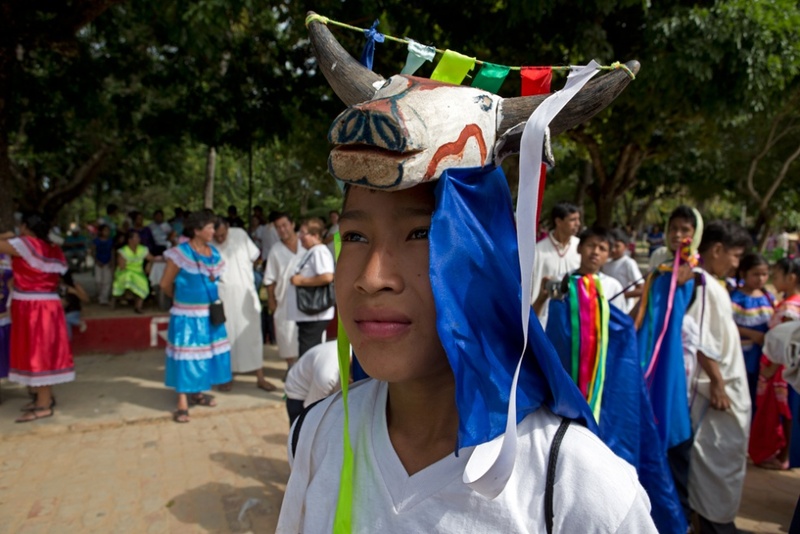 A crowd of young people gather for a traditional celebration at San Ignacio. 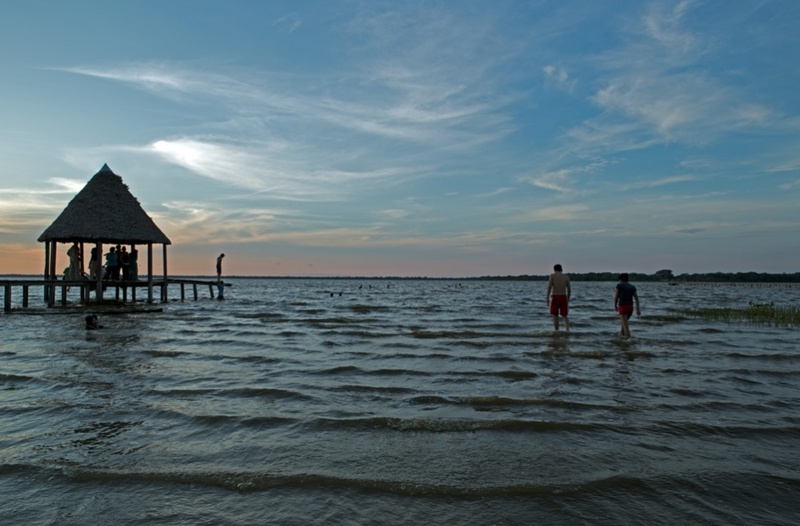 The laguna at San Ignacio provides the small town’s water supply. 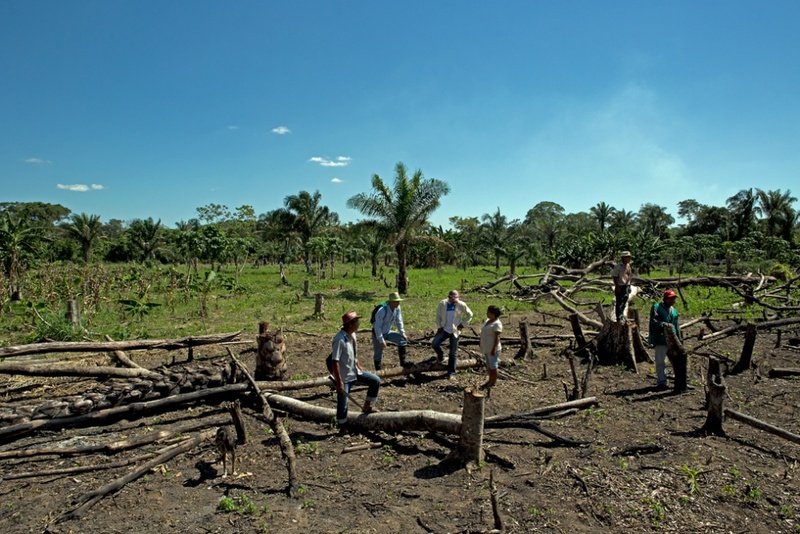 The Hydraulic Civilizations of The Mojos and Family Agriculture in the Bolivian Amazon. 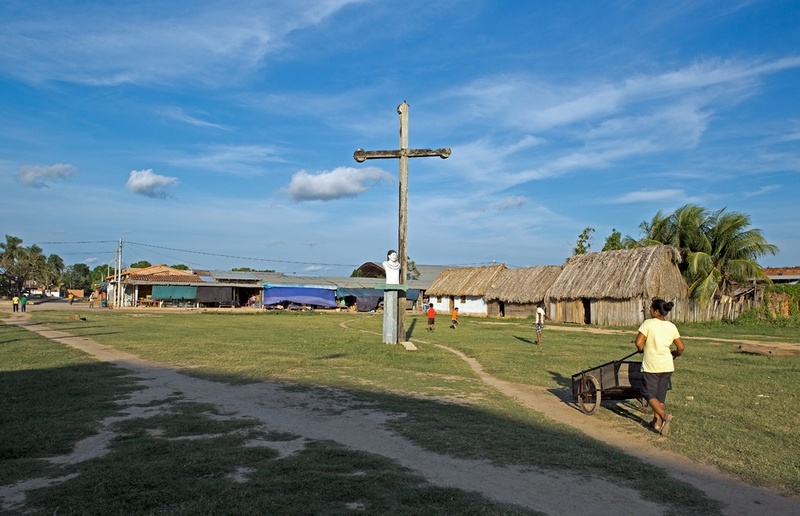 The Beni Department (Bolivian Amazon) is close to the Brazilian border and is one of Bolivia’s most remote and poorly connected rural areas. 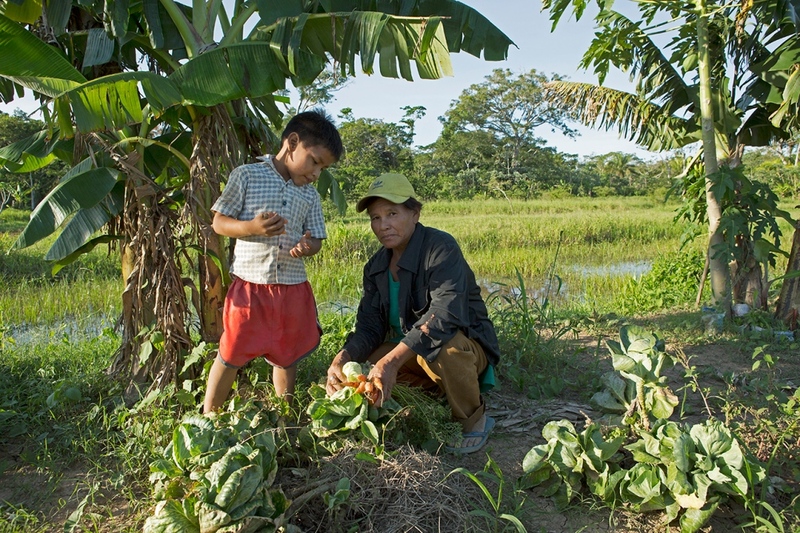 In recent years it has been catastrophically affected by climate change and the rainy season has destroyed crops and assets, bringing disease and hunger. 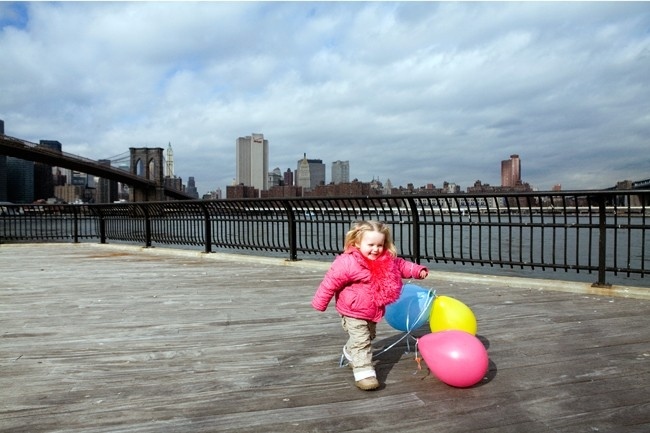 La Niña weather cycle used to impact heavily on the area every 10-12 years. Since 2006 it is causing damage annually. It has been a longheld belief that the area cannot host anything other than very specialized herbaceous and tree species, adapted to the characteristic long periods of drought and flooding, and that this poor environment has impeded the development of complex civilizations. However, these notions have been recently challenged by the discovery of roads, settlements and infrastructures for water management and agriculture, for which millions of cubic meters of earth must have been moved. Three thousand years ago pre-Columbian hydraulic cultures, the Mojos, constructed complex systems of artificial hills (originally pyramid-like structures now known as ‘Lomas’), raised fields (known as ‘Camellones’), walls, canals and ponds to capitalize upon the ecosystem’s conditions and support human habitation and agriculture. They adapted to climate changes, such as long drought cycles, by building enormous water reservoirs and canals that diverted river water. 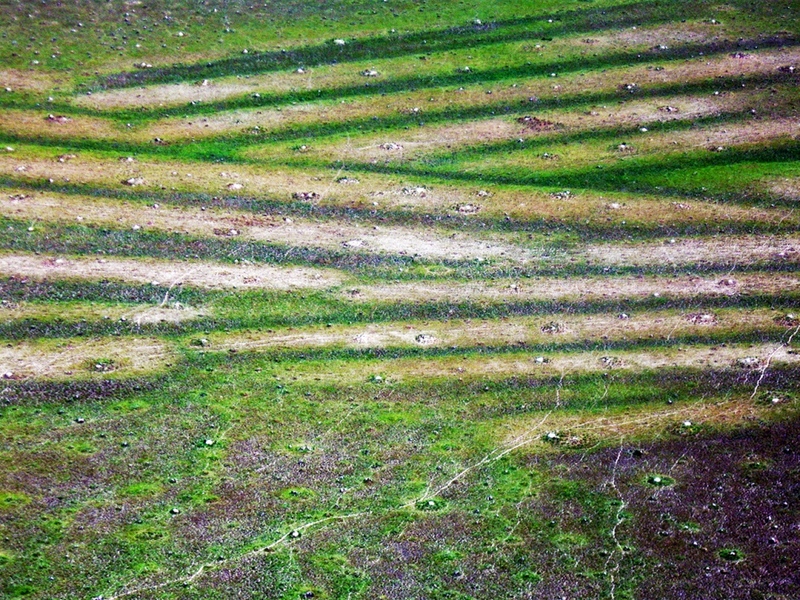 They accomodated rainy periods by raising fields above the level of flooding or water logging. Hydro-ways, dams and water contention systems, ditches and round canals were built to protect settlements and elaborate irrigation and drainage systems were constructed for the fields. This hydro-agricultural infrastructure is the most extensive, visible and remarkable part of the archaeological heritage of Beni and has transformed the topography and hydrology of the land on a monumental scale. Over 200.000 hectares of raised fields have been mapped using satellite imagery and aerial photography, but many more of the remnants of this civilization are still hidden under the forest and prairies and their hydraulic and agricultural techniques remain a mystery. It is evident that these built habitats provided conditions for increased biodiversity and natural ecosystem productivity, leading to the development of a human population far greater than today’s scant half million. Development agencies are generating the first results from experiments aimed at restoring these ancient techniques. 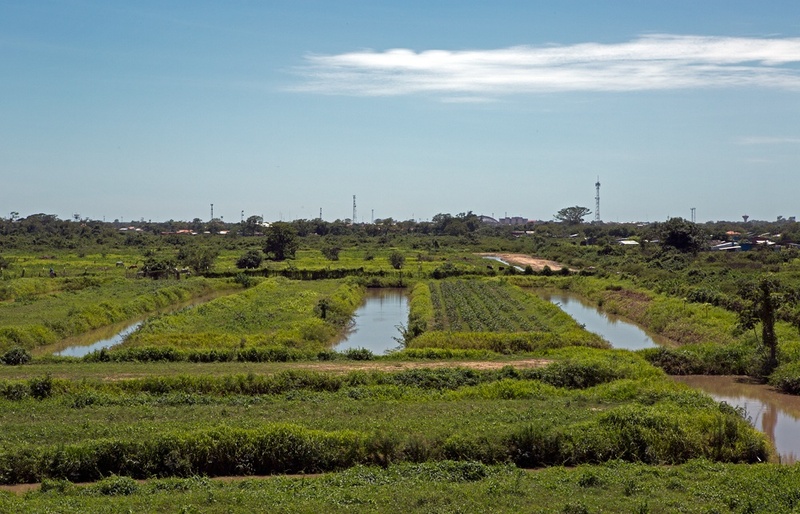 They are investing in the construction of raised fields and fish farming ponds, aiming to adapt agricultural production to the drought and torrential rain cycles of the Beni Department. 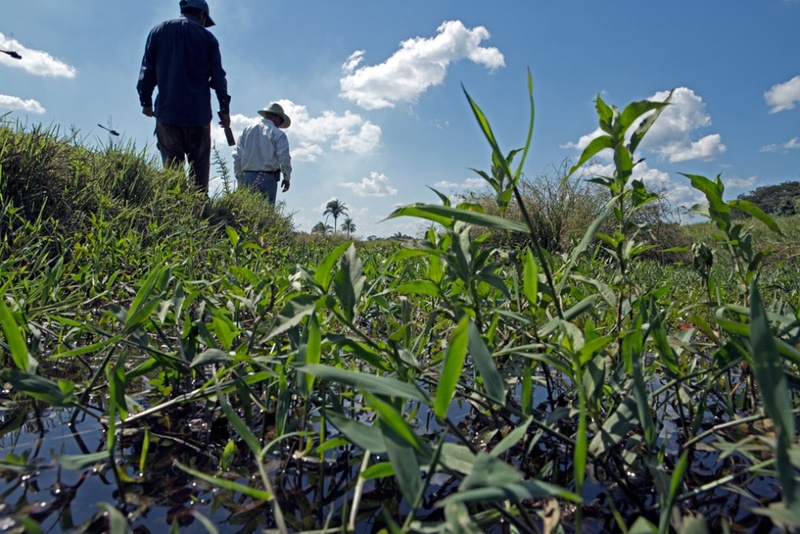 Their goal is to increase plasticity through the introduction of built habitats that will buffer water availability fluctuations throughout the year and increase local food production in tropical and sub-tropical regions. 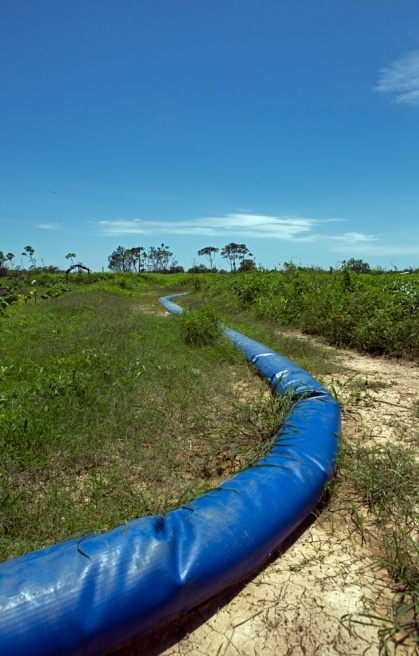 This has the potential to improve food security in water-stressed and flood-prone areas and minimize the need to practice slash and burn agriculture, thus protecting the local rainforest. 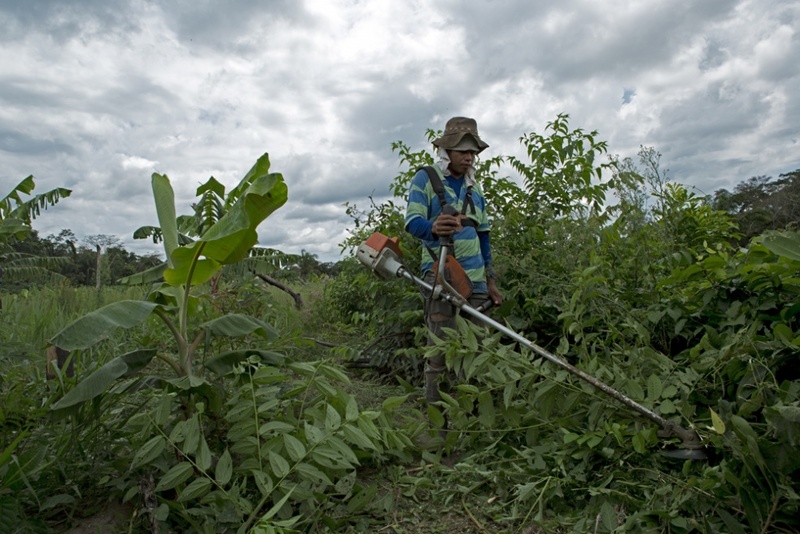 Photographer Ivano Grasso and Anthropologist Andrea Markos have traveled across the Beni Department documenting development agency sponsored projects and also instances where local farmers are re-utilizing the ancient hydro-agricultural infrastructures.